Freshman guard Shandon Brown will transfer out of the men's basketball program. 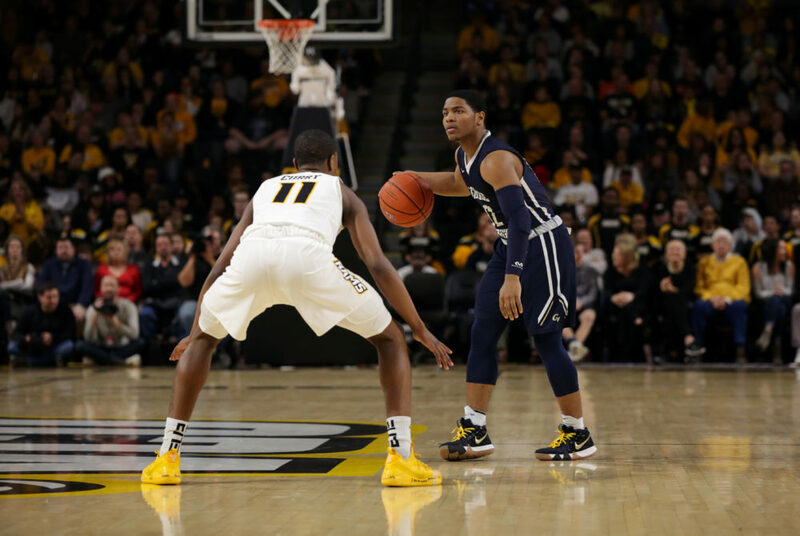 Freshman guard Shandon Brown will transfer out of the men’s basketball program after a single season in Foggy Bottom. Brown was one of three freshmen to join the Colonials for the 2018-19 season. He made one career start as a Colonial against Princeton on Dec. 1 and averaged 7.7 minutes per game and 0.5 points per contest in 29 appearances this season. The transfer is the first announced this year. The announcement comes one day after GW announced former Siena head coach Jamion Christian would take over as men’s basketball head coach after booting Maurice Joseph from the position last week. With one transfer, the Colonials are now set to return 12 members of this season’s squad.